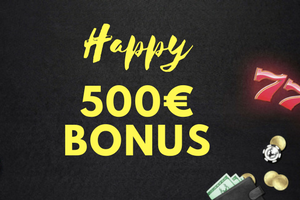 Casino first deposit bonus up to 500 Euros! Make a deposit of at least 10€ and get 100% bonus for Casino. Maximum Bonus amount is 500€.